There is that itch, you know the kind of itch that only offers one cure. It is something that every gambler experiences and Scratch Games have the perfect cure for it. Scratch the cards until your hearts content because there is always plenty more to go around. While the big city streets are quiet and the only light you see is from the flat windows. there could be only one thing going on. The hustle and bustle of city life has calmed down while everyone is safely inside their homes powering up the PC. Straight to Scratch Games they go, a unique gaming concept that dedicates its focus on a remarkable array of scratch cards. But there is a lot more to it then just the name, like a large selection of other games to play as well. Everybody loves to dabble in scratch cards. It is the instant win game that gives players instant gratification. Its one of most clever ideas for online gaming that has come in a long time. Pariplay software has a dedicated team who has placed much of their focus on scratch cards with some of the most inventive themes you won’t find at your local market. They offer an array of games that are defiantly unique from other online games you have played before. Scratch Games is licensed by Isle of the Man Gambling Commission and fully certified by iTech Labs. Playing scratch cards takes no particular skill it is a fast and quick way to win. Simply match three symbols and win the prize for the symbol. That’s as easy as it gets and the winning is even better with jackpot prizes there up 100k. The themes will lure players with everything from Happy Birthday, Cash Cuisine and Poker Match and much more. Card prices vary and welcome all gamblers from the high roller to the small roller. Lottery Games go hand in hand with Scratch Cards and you will find many types of lottery games including Keno and lottery type table games. 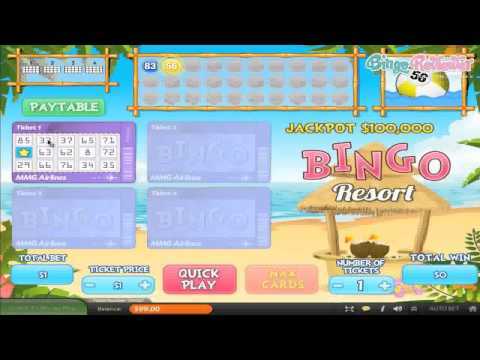 Mega Bingo is a 90 ball game where you can play up to 12 cards at once with a mega of jackpot win valued at 100k. Now no need to be concerned you won’t have your slots to play. Scratch Games covered an array of slots with 100k Jackpots there too. This may be a new kind of gaming experience for many online gamblers and Scratch Games wants to welcome you to their site the best they can. After signing up a No Deposit Bonus to give them a test run will be waiting for all new players. A new player Deposit Bonus will fatten up your bankroll and give you lots more scratching time to relieve that itch! It can be enhanced even more with an Alternative Payment Bonus. Choose one of the suggested payment methods and receive a bonus on top of your bonus. While you are telling all your friends about this exciting new site remember to ask them to join. A cash reward is yours every time one of your friends sign up and make their first deposit. It’s a new venue of gaming that gamblers are always looking for. The 100k jackpots on most games is a fantastic incentive. We rate Scratch Games with 4.75 Pink Hearts. It's really easy to play the games at Scratch Games, mostly because they feature games that take no skill, just luck, and there's no reason luck should not be on your side while playing here. I'm not a big fan of scratch card games, but you can win a nice pile of cash in an instant, and that could only be a good thing! They also have Bingo here, which is good because there's nothing like a few games of bingo to pass the time and provide entertainment plus chances to win prizes. Having a no deposit bonus for new members is a big plus, and the deposit specials after that and special promotions makes Scratch Games a good place to get the most out of your playing bankroll. Don't forget to interact with and refer your friends to this site so that you can take advantage of the refer a player program they are offering. No sense in not sharing the love, especially when you can also boost your bankroll and win more prizes. I just saw a $7 No Deposit Bonus and had to give it a try. Usually, I'm not that interested in Scratch cards, but every now and then, I get tired of the rest of the popular games, and just want to try a few scratches. They do have other games, like Slots, Instant games and classic table games like BlackJack, Texas Hold'em and even Poker Dice (haven't seen that one in a while). This site uses a software that I haven't seen so far, and I am always a bit cautious when I get to a new site software. New players get a 200% bonus for the first deposit, and a nice 300% bonus for the next two reloads. What I specially like is the 15% deposit bonus for alternative payment methods, and you can get it if you use Moneybookers, Click&Buy or Click2Pay. I had a great run on this site and it is a first time I made some money out of scratch cards, so I will come back.